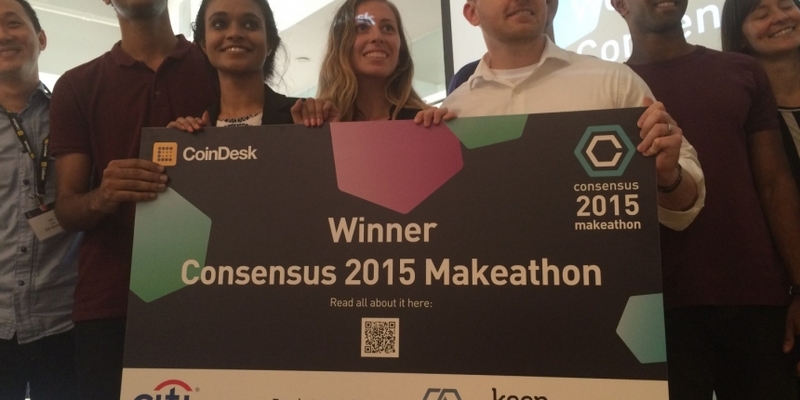 The Consensus 2015 Makeathon drew to a close today when Team 15 was awarded the event’s $5,000 prize for an application that envisioned how the blockchain could be used to produce verifiable, immutable receipts for use during an insurance claims process. Led by Tierion CEO Wayne Vaughan, the four-member team included Citi credit and portfolio risk management associate Thulasi Nambiar; New York University computer science major Deepak Atal; Apttus sales engineer Dom Steil; and Coin Cafe’s Emily Faber. Over the course of the two-day makeathon, the team created a mobile Android app branded for financial giant USAA. The app was integrated with Tierion’s blockchain receipt technology and Google Sheets so that claims could be both automatically checked against the bitcoin blockchain and organized in documents for end-users. Armed with the $5,000 prize, Vaughan expressed his hope that the team at USAA would contact his company about potentially building such a solution. “I hope the folks at USAA give me a call, we’ll come back down to San Antonio and talk about trying to implement something like this,” he told CoinDesk. Presentations were judged on the originality of the idea, the potential impact of the solution and whether the problem the team was trying to solve necessitated the use of a blockchain. 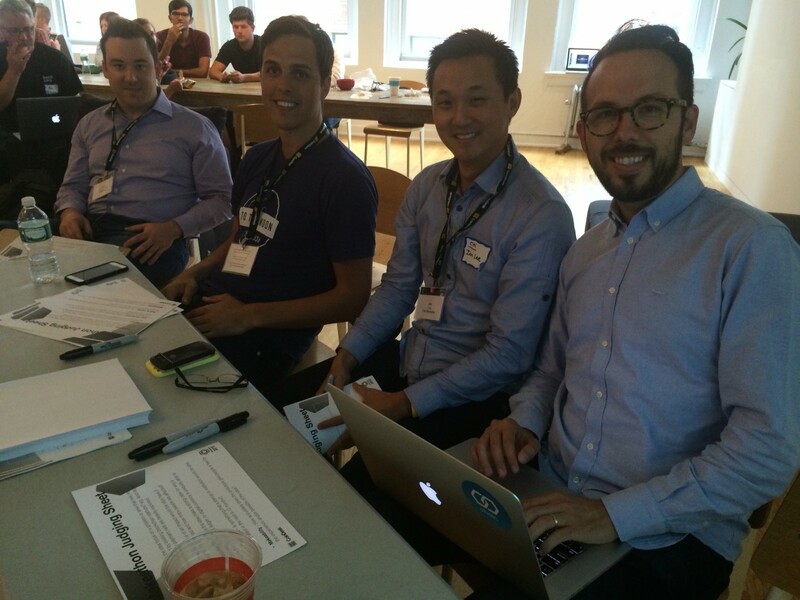 Judges included Chain CEO Adam Ludwin; Yale Law School’s Elizabeth Stark; International Rescue Committee economic recovery coordinator Alan Grundy; Citi senior vice president Ian Lee; Coinbase business development director Nick Tomaino; and KeepKey founder Darin Stanchfield. Sponsored by Braintree, Chain, Coinbase and KeepKey, the event saw 15 teams competing to uncover new blockchain applications that could promote improvements to financial infrastructure or increase global financial inclusion. In total, the majority of respondents were focused on financial infrastructure, with 10 teams electing this brief and five choosing to focus on projects promoting financial inclusion. The competition was designed to promote Consensus 2015, CoinDesk’s flagship conference to be held tomorrow, 10th September at The Times Center in New York.